“Heartstrings” featuring New Bonus Tracks! 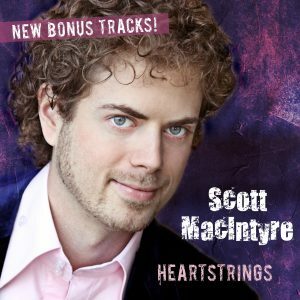 Scott’s latest CD Heartstrings is now available from Walmart! This special edition CD includes 2 brand-new bonus tracks, including Scott’s original song “I Am Hope” as heard on the 700 Club. The original release debuted at #18 on iTunes, and the single “Valentine” was featured on Top Hits USA. Visit WALMART.COM to order and listen to samples.